OrderPaperToday – Governor of Zamfara State, Abdul’aziz Yari has declared his intention to contest for Zamfara West senatorial seat in the 2019 general elections. 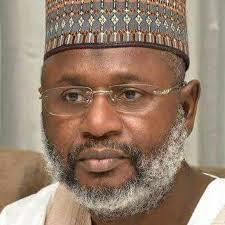 The two term governor seeks to remove Ahmad Sani-Yarima who is serving his third term as senator representing Zamfara West. Yarima handed over as governor to the incumbent. Yari made this announcement to journalists in Gusau on Monday citing a preference for the legislative process over executive duties. He said: “You know, I was from the National Assembly before I became a governor, in fact my colleagues from the National Assembly used to say I am here on sabbatical. “In fact even some people in the presidency are asking me why I want to go to senate, I told them it’s just an interest. You know National Assembly politics is different from that of executive. It is worthy to note that the governor was a member of the House of Representatives for Anka/Talata-Mafara Federal Constituency from 2007 to 2011.